A 7 days Japan Rail Pass costs 29110 yen (about 240 euro, depending on the exchange rate). It may seem expensive: is it worthwhile? It all depends on our travel plans: if we’ll just visit the outskirts of Tokyo, it is a waste of money, even going to Yokohama, Kamakura, Saitama, we’ll never would spend this amount. 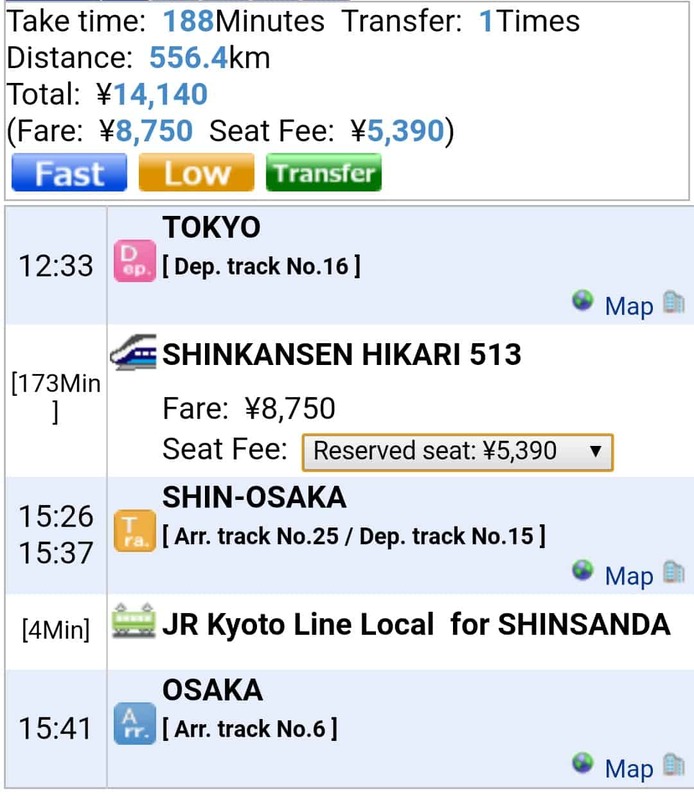 But, if we plan to visit also Osaka, we can see on Hyperdia that the pass is cheaper than a return ticket! Obviously, there are cheaper ways to go to Osaka, for example, a night bus costs about 8000 yen, and even a plane ticket Haneda => Itami costs much less. Or you can try to take the train without reservation saving fifty euro each way. Total: 35000 yen => a 55 euro savings! It all depends by what do you want to see during the trip.